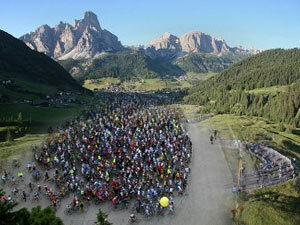 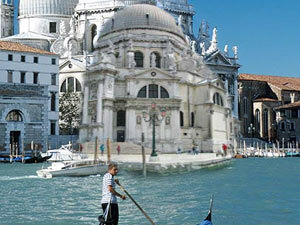 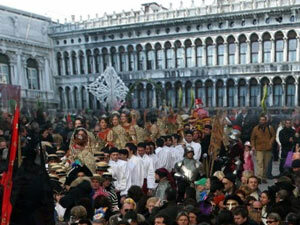 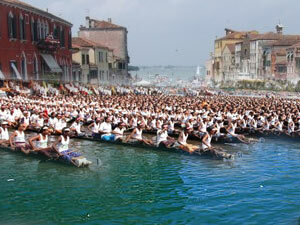 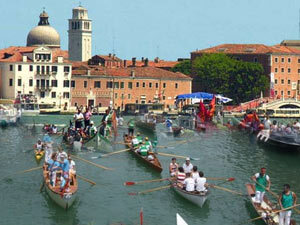 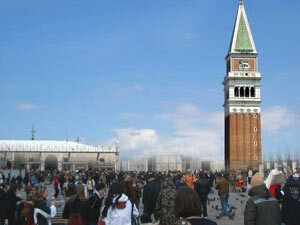 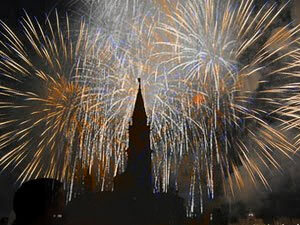 This is the day on which the marriage between Venice and the sea is celebrated. 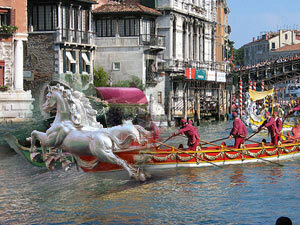 Back in history the Doge would sail out on his ship named "Bucintoro" and throw into the sea a ring of gold. 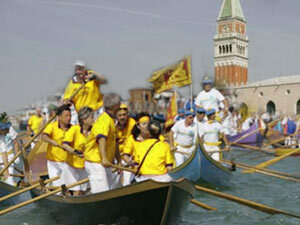 These days the ceremony has taken a simpler form, as the Mayor of Venice, civic dignitaries and religious and military representatives sail to the Port of S. Nicolò and perform the ring throwing ritual.